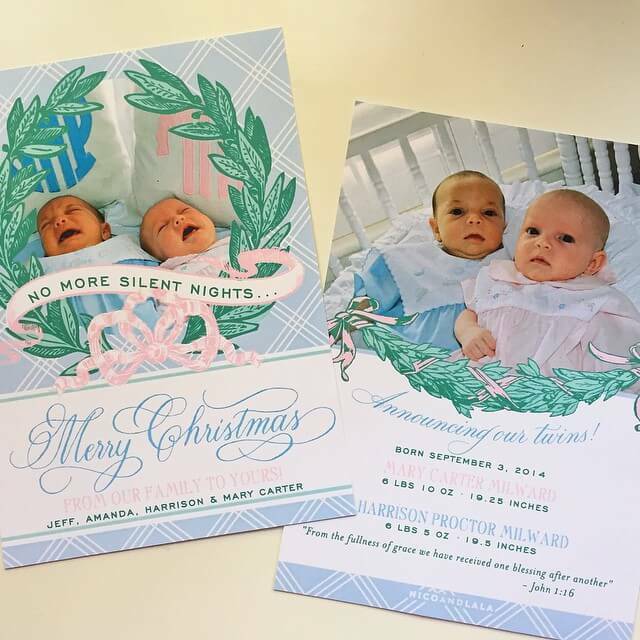 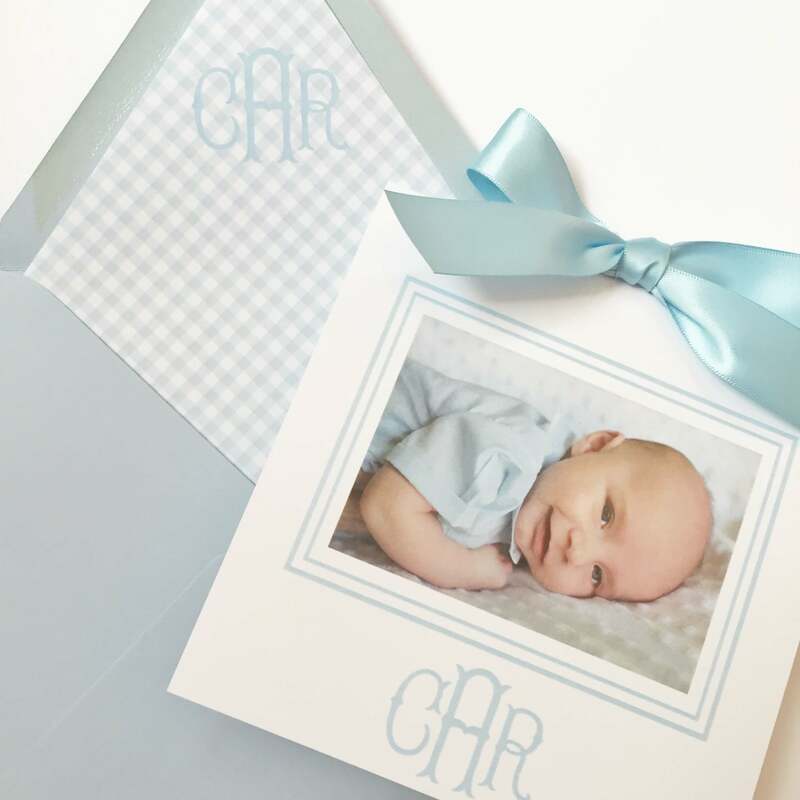 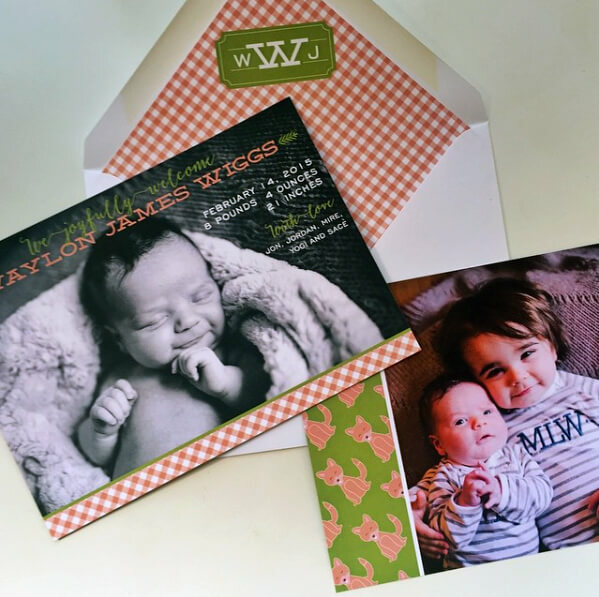 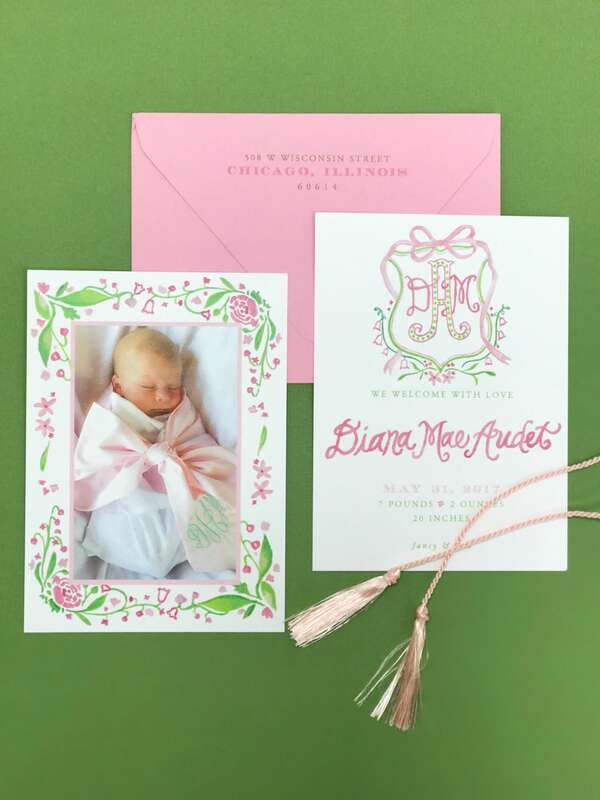 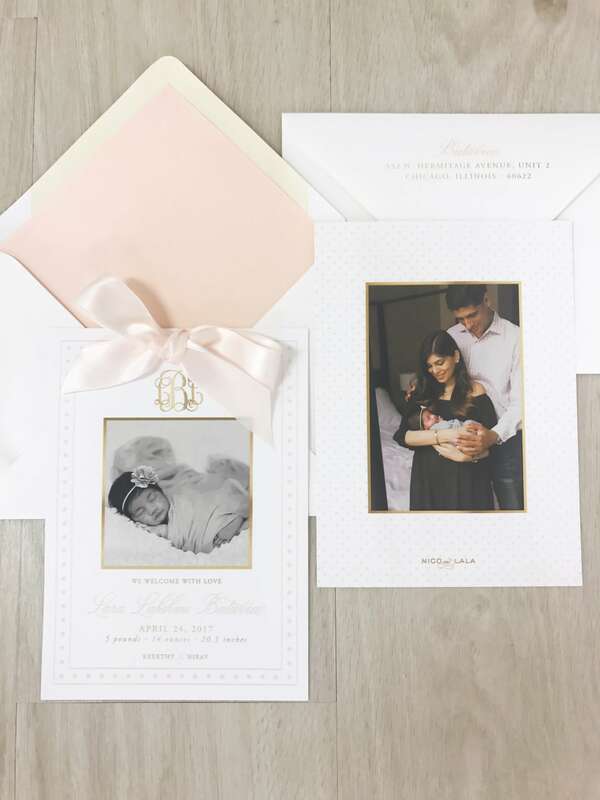 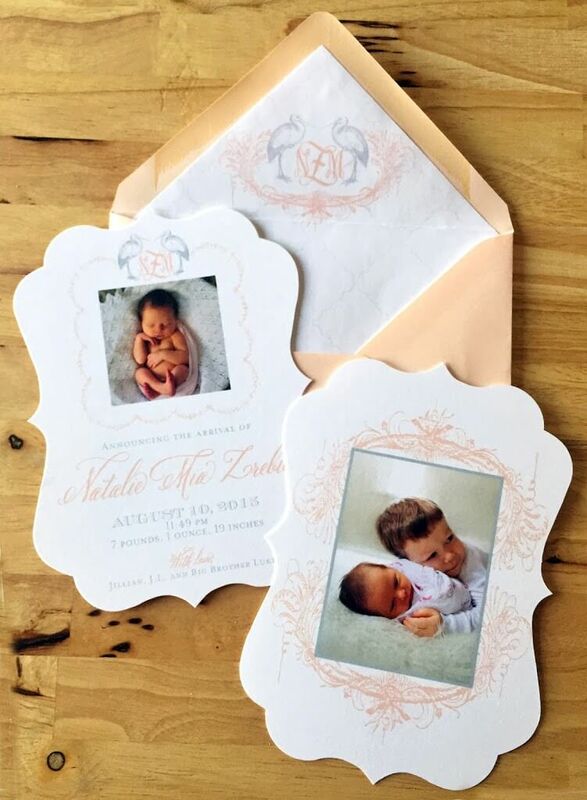 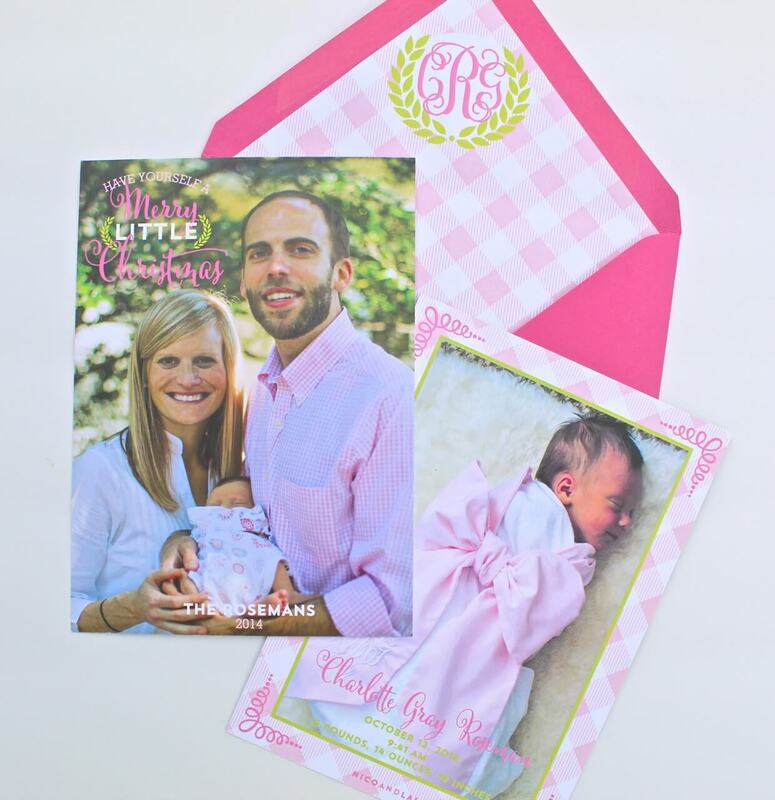 Nico and Lala design custom birth announcements that are sure to make your sweet new baby shine! 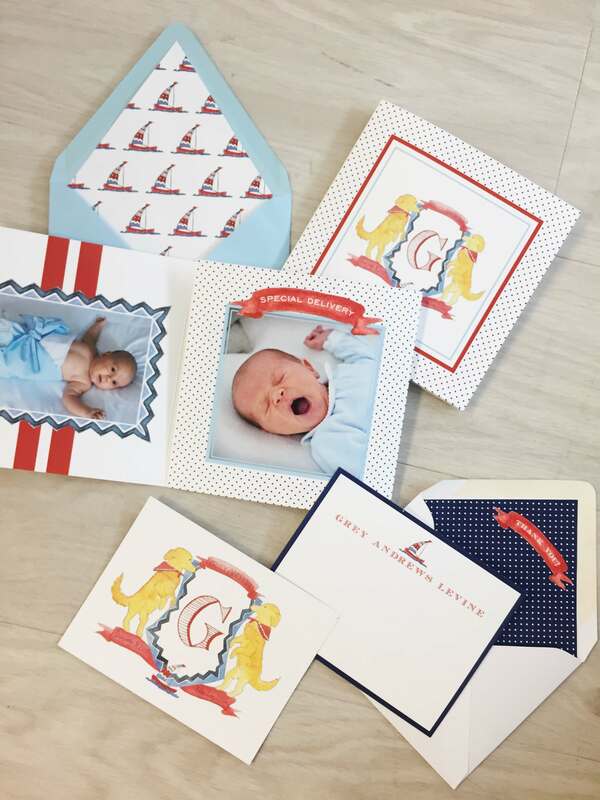 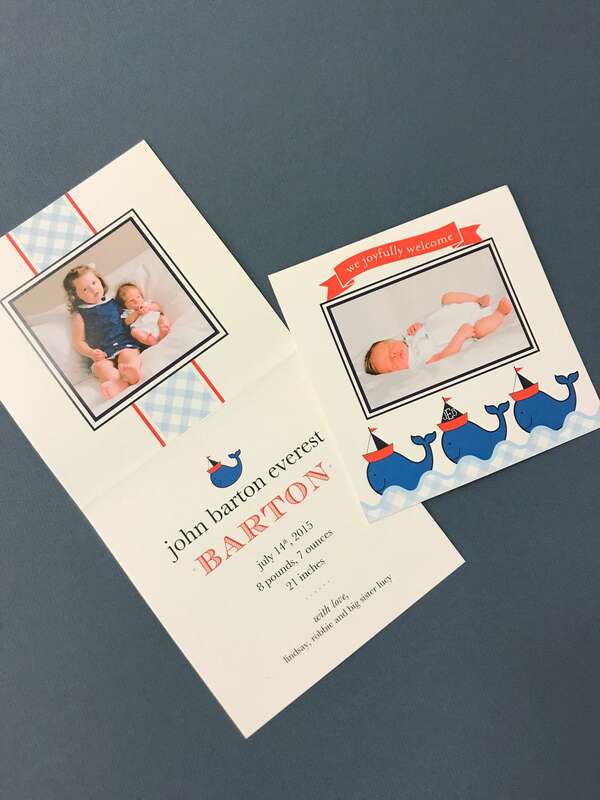 We offer digital printing, letterpress, engraving, and foil stamping and can add on accoutrements such as thicker paper, folded formats, ribbons, multiple photos, and whatever else your heart desires! 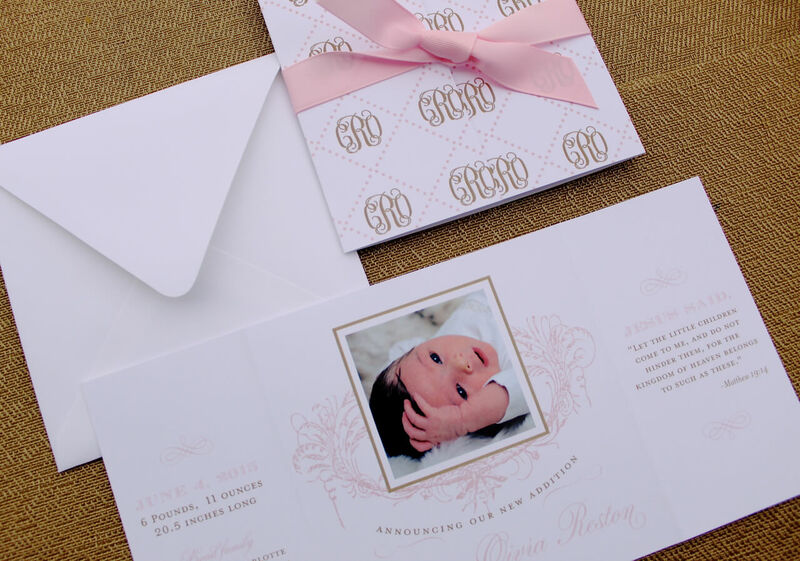 The custom design fee is $75. 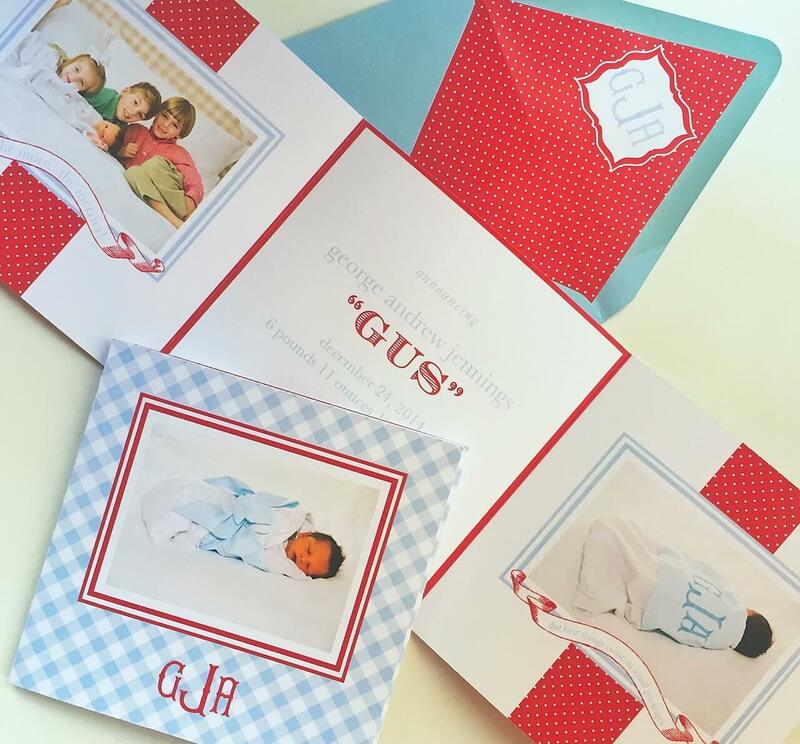 Our standard format is 5 x 7 in size, printed digitally on 100# card stock with envelope and return address. 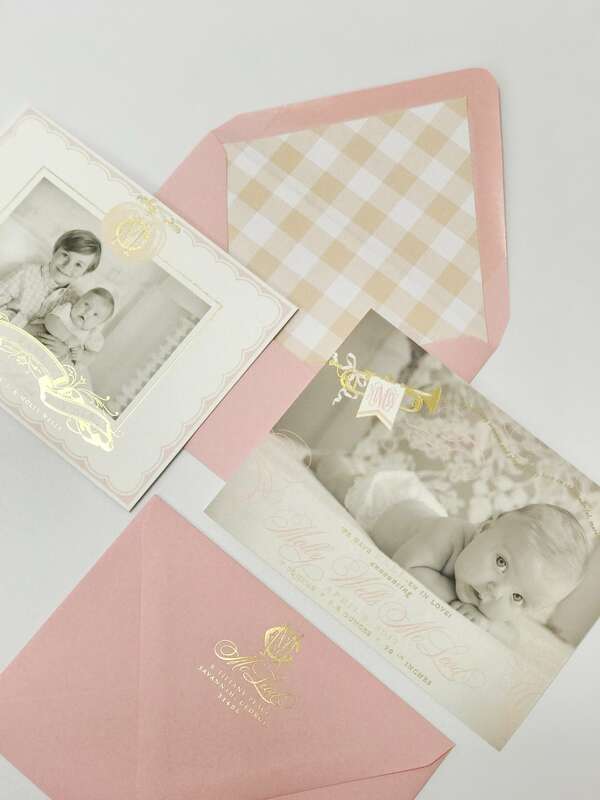 Lined envelopes are $1.50 additional and colored envelopes, $0.25 additional. 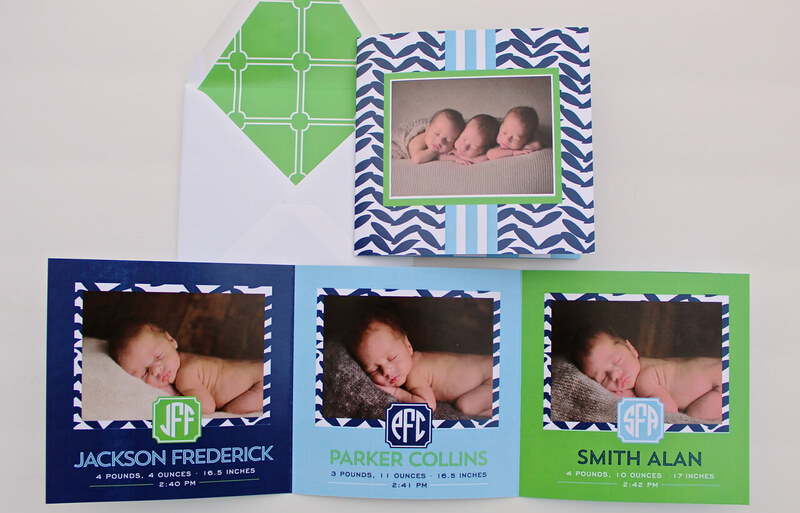 Quotes for upgraded print styles and formats are done on an individual basis upon request and are based on quantity. 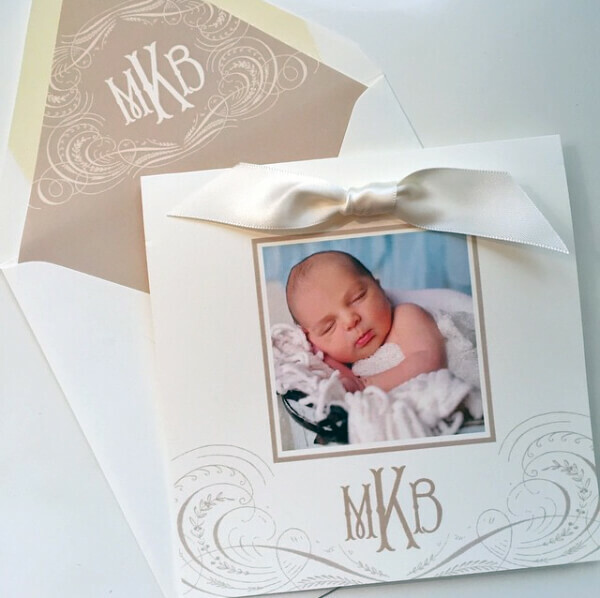 Machine calligraphy for addressing begins at $1.25 per envelope for black ink and $1.50 per envelope for colored ink. 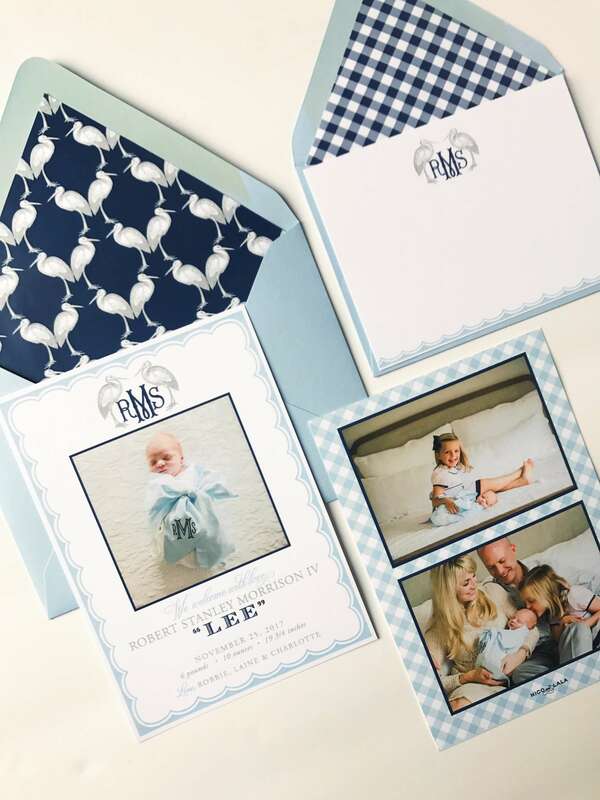 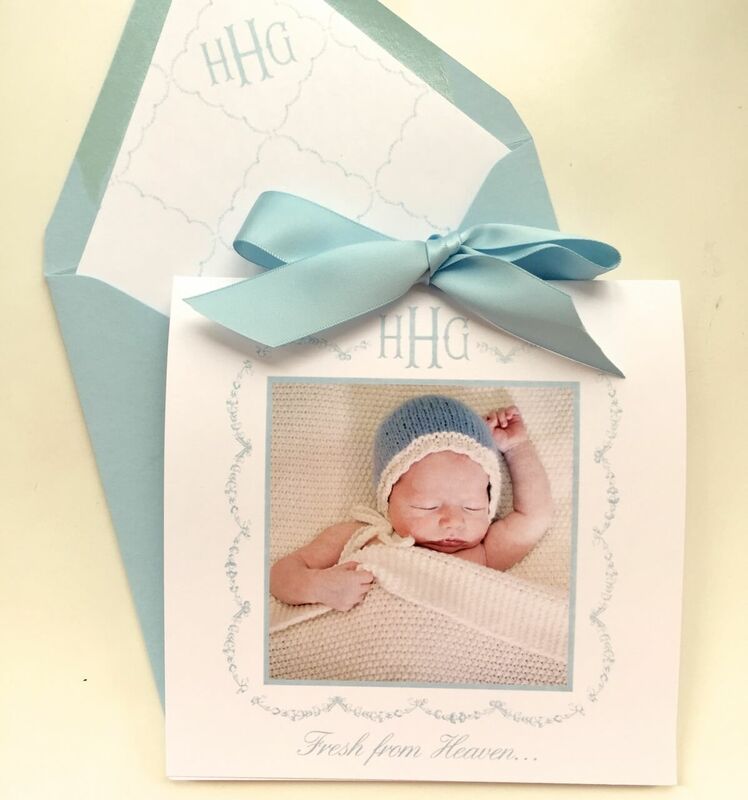 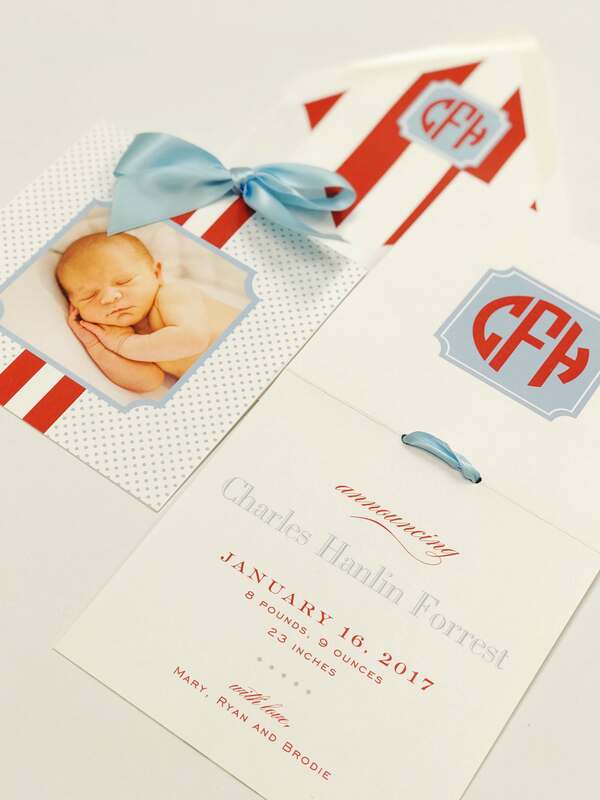 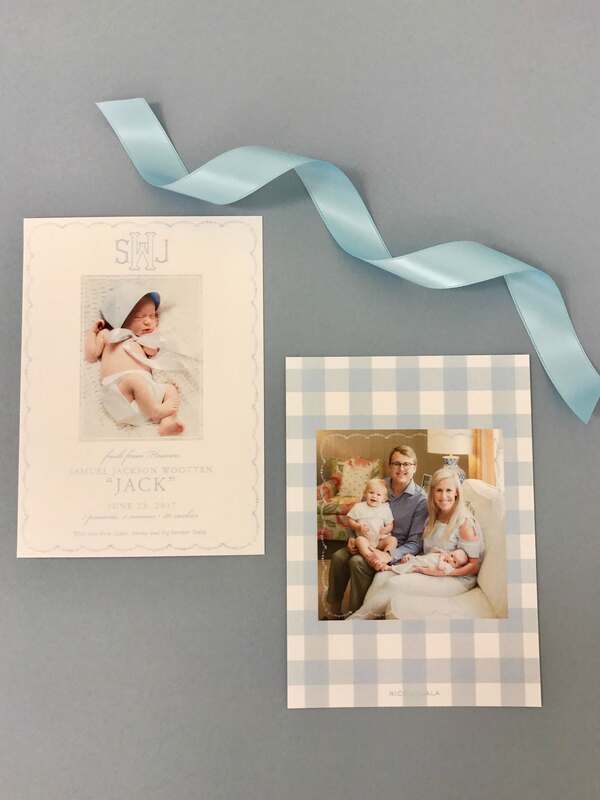 We love designing sweet custom birth announcements that are timeless and can be used as keepsakes for years to come! 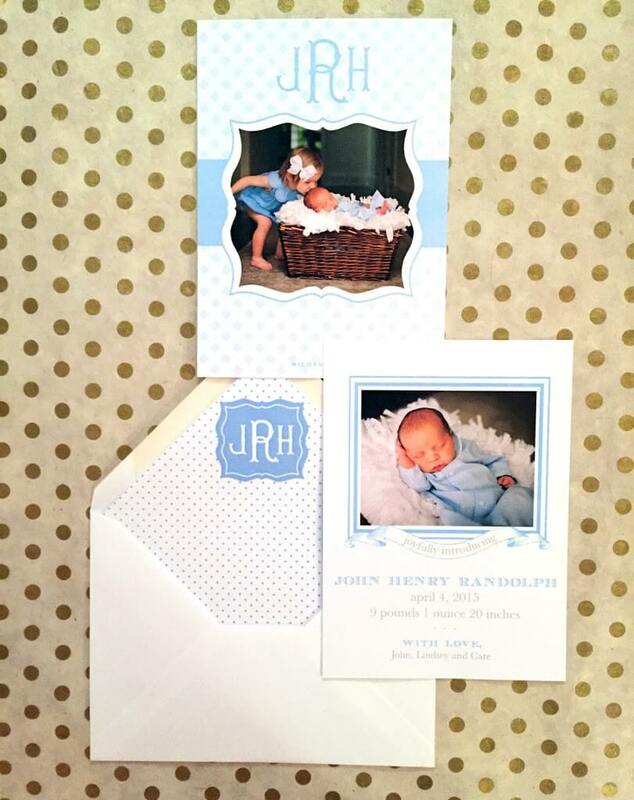 Proof timeline is 2 weeks however rush options are available. 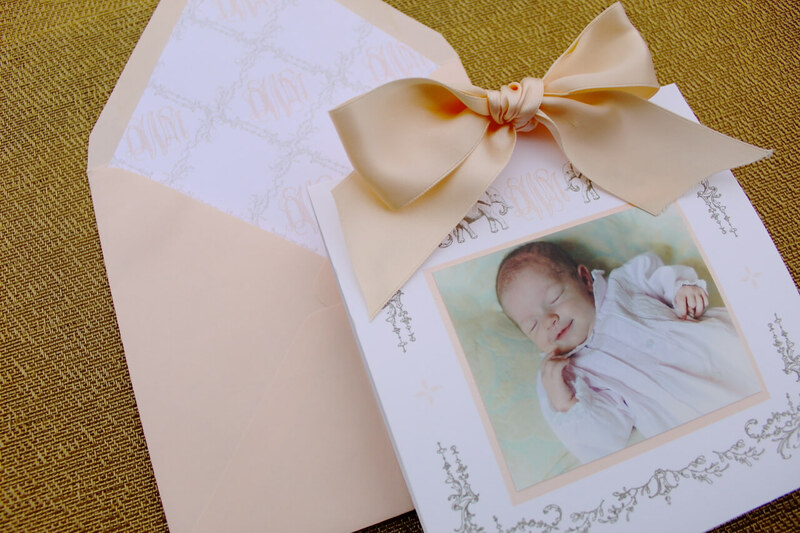 We cannot begin proof design until we have your high res photo, as layout so often depends on final photo choice. 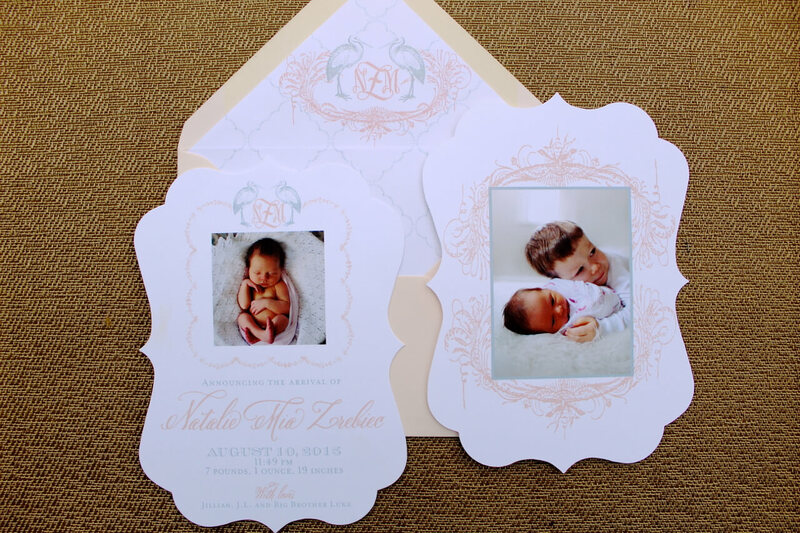 Mounted photos are also optional, however N&L does not print them. 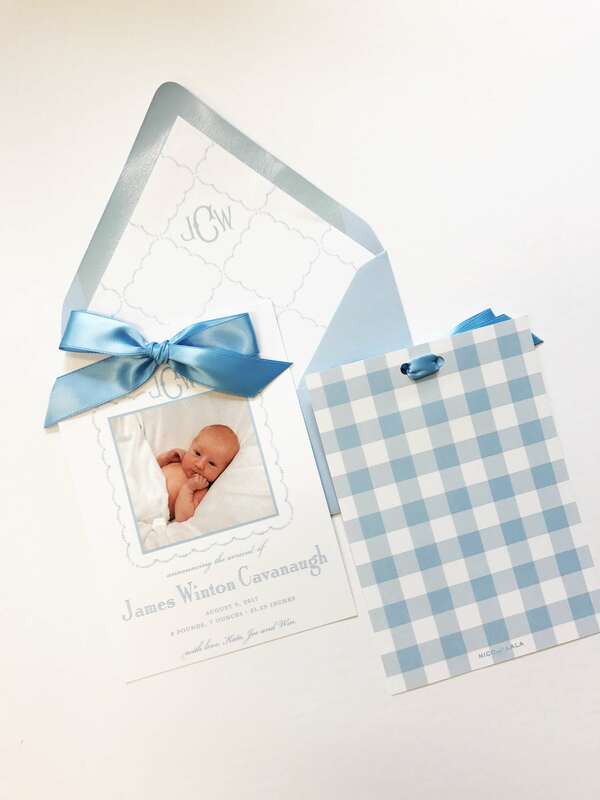 Clients can order online and have shipped to one of our studios. 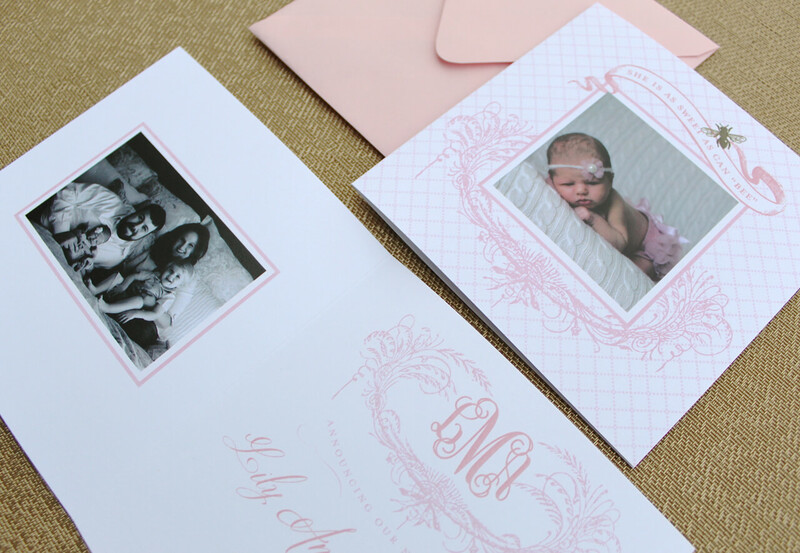 Size will be specified and decided upon during proofing process.